Type your answers in the corresponding fields for each question. Click the "Grade Me!" button to see how you did. Use the "Clear" button to start over. 1) A bag contains 3 red marbles, 4 white marbles, and 5 blue marbles. One marble is randomly selected from the bag. Write your answer as a proper fraction. 2) Name all six (6) factors of 12. 3) A millimetre is a tenth of a centimetre. 5) Three-fifths of a piece of cheese weighs 24 grams. 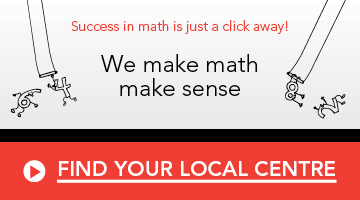 Discover how the Mathnasium Method™ has transformed the way kids understand and appreciate math.